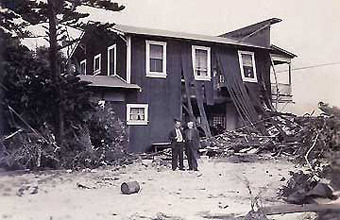 The gallery in 1946 after the big Tsunami. 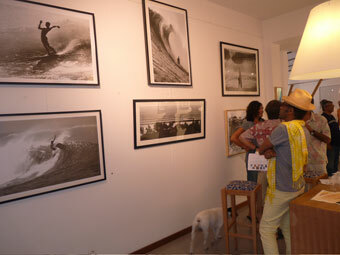 The gallery as it is today. Puka Puka is owned by Jenna and Emmanuel de Buretel. 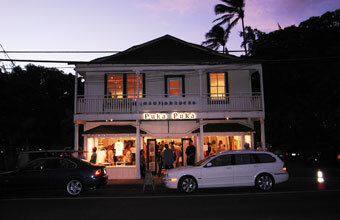 Puka Puka presents jewelry, fashion, interior as well as fine art and limited edition prints. 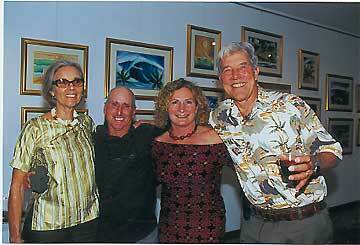 Jenna is John Severson’s eldest daughter also known as Jenna de Rosnay. Puka Puka is managed by Jenna’s daughter, Alize de Rosnay, and her boyfriend Nathan Howe. Several of the most important waves in the Hawaiian Islands, and indeed the entire world, are found in Maui. Maalaea is arguably the fastest surfable wave, Honolua Bay one of the five most perfectly shaped, and Jaws one of the biggest rideable waves, in the world. This distinction has put Maui at the forefront in the international evolution of surfboard design. 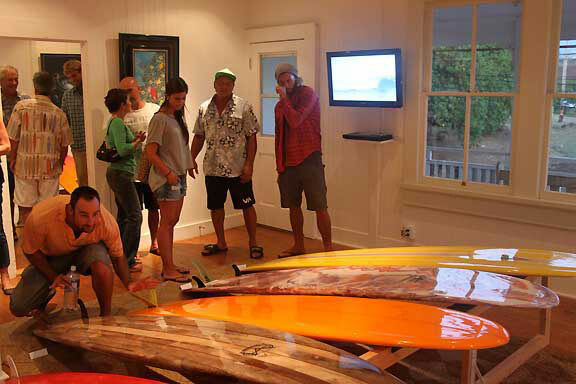 Maui’s custom board shapers lead in this process as designs continually change and improve increment by increment, board by board. 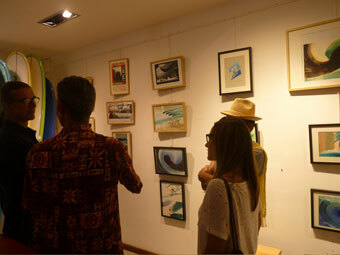 The need for boards that allow greater performance under demanding conditions has created a local culture of highly skilled artists who have devoted their lives to the ultimate ride. Exceptional surfboards are sculptures that perform. They are an actualized form of hydrodynamic mathematics produced by hand and eye coordination and extreme amounts of water time. To a custom shaper, each board becomes an intuitive production with experience draining out through the hands. 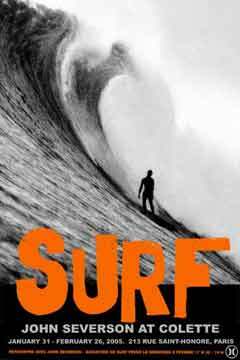 The surfboard in Hawaii has a deep and spiritual history. The Hawaiian surfer/shaper building a Koa Alaia would seek out a special Koa tree to commune with its Mana – supernatural power – before deciding to use it. In this modern era of mass produced popout boards, the custom shaper is an increasingly rare breed of artisan who continues to respect the importance of carrying on the Hawaiian tradition of constructing sacred craft. 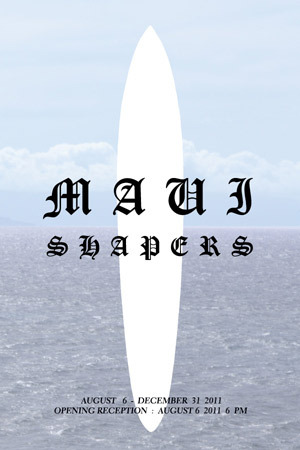 PUKA PUKA PRESENTS MAUI SHAPERS, a survey of twenty custom surfboard shapers including Alex Aguera ( Alex Aguera Design ), Ed Angulo ( Angulo Design ), Mark Angulo ( Angulo Custom ), Wayno Cochran ( Maui Surfboards ), Brent Edwards ( Maui Skimmers ), Reinhard Elischka ( Hawaiian Kiteboards ), David Gott ( David Gott Skateboards ), Karl Hill ( KH ), Duane Ignacio ( DI Surfing ), Bill Foote ( Foote Surfboards ), Jimmy Lewis, Neal Norris ( Valley Isle Surfboards ), Bob Olson ( Ole Surfboards ), Sean Ordonez ( S.O.S ), Tom Parrish ( Parrish Hawaiian Designs ), Ryan Quigless ( Arclight Woods ), Charlie Smith ( Charlie Smith Design ), Matt Smith ( Maui Shapes ), Keith Teboul ( Quatro International ), Jeff Timpone ( Timpone Surfboards ). The survey will include works by David Darling, Richard Fields, Harlan Hughes, John Severson and Joana Varawa. Gallery Hours: Monday – Saturday, 10 AM – 6 PM, or by appointment. Jenna–bathing suits, Louise and Anna Severson–screenprints and art. 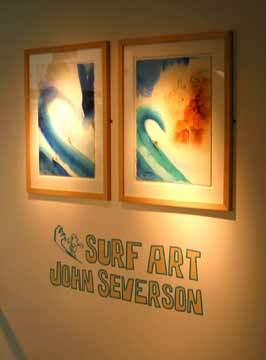 The gallery is currently showing John Severson paintings, photos, block prints and posters. For more information: (808) 579-3080. 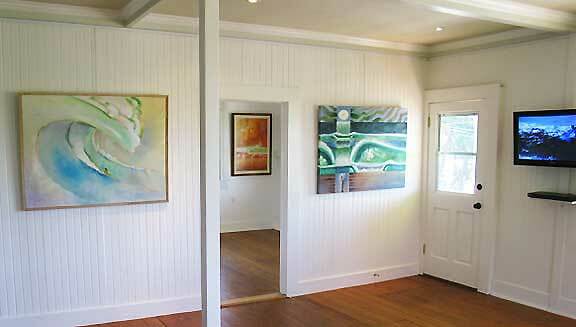 43 HANA HWY IN PAIA, MAUI (FIRST SHOP ON THE LEFT, DRIVING FROM KAHULUI). (L to R) Louise Severson, Mickey Munoz, Jericho Poppler, John Severson. 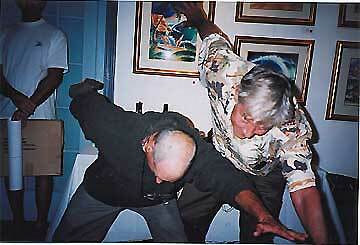 Mickey and John relive the Quasimodo. 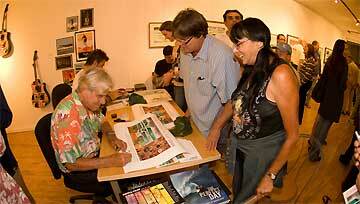 Additional outlets for John Severson art: posters, prints, and watercolors. Located on the Northwest corner of Puerto Rico in Rincon. Visit Coconut Cove on Maui’s north shore. HST equipment and lessons site.